PuraPharm Nasal Formula is formulated for relieving symptoms of nasal allergy and hay fever. 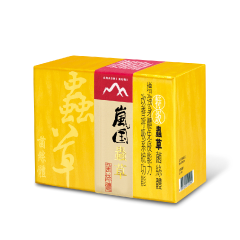 It contains extracts of Ganoderma Applanatum, Flos Magnoliae and Herba Menthae. Scientifically proven*, its ingredient can inhibit the release of histamine and suppress allergic reaction, while at the same time relieve symptoms of nasal allergy and hay fever; thereby improving body conditions. PuraPharm Nasal Formula is a non-drowsy formula and improves allergy symptoms. It is a great product for nasal allergy sufferers. Nasal allergy is the allergic reaction of the nose to causative allergens, and develops after the body is exposure to them. Pollen, dust and animal fur are the common causative nasal allergens. When Immuoglobulin E(IgE) antibodies are attached to mast cells and presented to the allergens, the mast cells will release histamine causing nasal congestion, sneezing, nasal discharge, tissue swelling and itchy eyes. Lingzhi has been used in Traditional Chinese Medicine for centuries to delay the aging process and to tonify the lungs and the liver. According to Shen Nong’s Classic of Materia Medica, Lingzhi is listed with unique therapeutic benefits to different parts of body. This discourse is respected as classics and adopted by subsequent medical professionals. 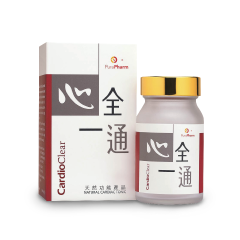 Integrating the theories of traditional medicine and the findings from recent studies, PuraPharm Nasal Formula is formulated through scientific researches by using Ganoderma Applanatum and Chinese herbs which are effective in soothing nasal symptoms. The proprietary formulation unleashes the curative power of Lingzhi to vitalize the targeted body functions. 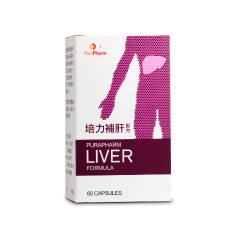 PuraPharm Nasal Formula is made of specific Chinese herbs and natural wild Lingzhi which are especially effective in relieving nasal allergy symptoms and enhancing the functions of the lungs. PuraPharm Nasal Formula is manufactured by a Good Manufacturing Practice (GMP) certified factory in Hong Kong. Every step in the production process is strictly monitored. Every batch of PuraPharm Nasal Formula is tested against its safety by the world-renowned independent testing laboratory – SGS (H.K.) Ltd. and has obtained safety reports on heavy metals, toxic elements, pesticide residues and microbial limit tests. Its safety and reliability are therefore guaranteed. 2 capsules, two times daily, or as directed by physician. Precautions: Children under 12 years old, pregnant women and nursing mothers should seek medical advice before taking this formula. Store in cool and dry place. Avoid direct sunlight.